Shareholders of Idemitsu Kosan Co. and Showa Shell Sekiyu K.K. have approved the share exchange agreement between Japan’s two major oil refiners at their extraordinary general meetings held in Tokyo on 18 December 2018, paving the way for their long-delayed merger. Under the share exchange agreement, Idemitsu Kosan will distribute its shares to shareholders of Showa Shell and acquire all the issued shares of Showa Shell. Idemitsu Kosan Co., Ltd. and Showa Shell Sekiyu K.K. executed a share exchange agreement on 16 October 2018. Showa Shell Sekiyu will delist from the Tokyo Stock Exchange on 27 March 2019. 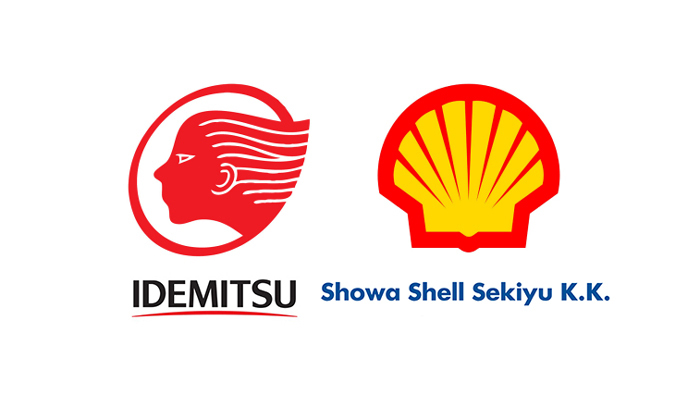 Following their business integration on 1 April 2019, Showa Shell will become a wholly owned subsidiary of Idemitsu Kosan through the share exchange. However, both Idemitsu Kosan and Showa Shell will continue to use their own brands at service stations and keep seven oil refineries in total. Showa Shell Sekiyu K.K. is the subsidiary of the Royal Dutch Shell group in Japan. Showa Shell Sekiyu K.K. was founded on 1 January 1985 by the amalgamation of Showa Oil Co., Ltd. established on 1 August 1942 and Shell Sekiyu K.K. incorporated on 11 April 1900. The combined company, which will bear the tradename Idemitsu Showa Shell, would account for about 30% of Japan’s domestic gasoline sales, second only to JXTG Holdings, which controls about half of the Japanese market. JXTG Holdings was formed in 2017 through a merger between JX Holdings Inc. and TonenGeneral Sekiyu K.K. Idemitsu Showa Shell would control about 28% of Japan’s refining market, behind JX Holdings Inc., which has a 35% share. In terms of their retail presence, Showa Shell has 3,300 service stations throughout Japan versus 3,725 for Idemitsu. However, while Showa Shell has many large distributors that run multiple stations, mainly in urban areas, Idemitsu has smaller distributors operating in outlying areas. “Through the integration, we will make a strong business entity capable of sustainable growth,” Idemitsu said in a statement following its meeting. A shrinking oil market due to a falling birth rate and an aging population, in addition to significant gains in vehicle fuel efficiency, have resulted in lower oil consumption for Japan. According to the Petroleum Association of Japan (PAJ), total fuel demand reached a peak of 246 million kilolitres (KL) in 1999, and a structural downward trend has continued since 2000. The new entity will aim to save a total of JPY60 billion (USD537 million) over the three years through fiscal 2021 by combining the two companies’ operations. The companies have already integrated offices in some areas, such as procurement and personnel affairs, and are streamlining business operations. The planned merger agreed to in July 2015 was delayed when the Idemitsu family initially opposed the merger with Showa Shell, citing differences in corporate culture. But the Idemitsu family finally relented in July 2018 on condition that its members will join the board of the merged entity. Idemitsu President Shunichi Kito will become president of the new company, while Idemitsu Chairman Takashi Tsukioka will become chairman and Showa Shell President Tsuyoshi Kameoka will serve as deputy chairman. Tesoro Corp. acquires Virent Inc.